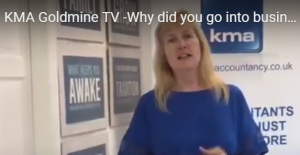 Episode 3 KMA GOLDMINE TV – Why did you go into business? Here, Kim Marlor talks about how it’s really important to have a definite purpose aka a plan! It’s amazing how many people do not actually have a plan or definite purpose of why they went into business. What it is all about, or even why they are doing it. In this week’s episode we talk about why you need to have a plan to keep you going and on track when the going get’s tough. This entry was posted on Wednesday, August 8th, 2018 at 6:18 pm and is filed under Knowledge Centre. You can follow any responses to this entry through the RSS 2.0 feed. Both comments and pings are currently closed.